A Block-ML upper stage that had helped send a Molniya-3K dual-use communications satellite into orbit re-entered the atmosphere on March 17, 2018 after bouncing off the atmosphere in July 2016. 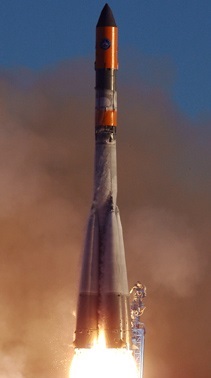 The Molniya-M rocket carrying the Molniya-3K No. 1 communications satellite launched from Plesetsk on July 20, 2001 and, with the help of the Block-ML upper stage, sent the 1,740-Kilogram satellite into a highly elliptical Molniya orbit for optimized coverage over the Russian territory including its northern regions. The Molniya satellite series, inaugurated in the 1960s, was employed for military and civil communications via Omega-S transponders (for Molniya-3K). Only one Molniya-3K satellite reached orbit, a second launch in 2005 ended in failure and marked the end of the Molniya program as Geostationary communications satellites had taken over for civilian communications while Russia’s Meridian took over military communications from Molniya Orbit. The Block-ML launch, left in a highly elliptical orbit with a low perigee, slowly spiraled down and was on the verge of re-entering the atmosphere in the summer of 2017 when its perigee dipped deep into the atmospheric layers. 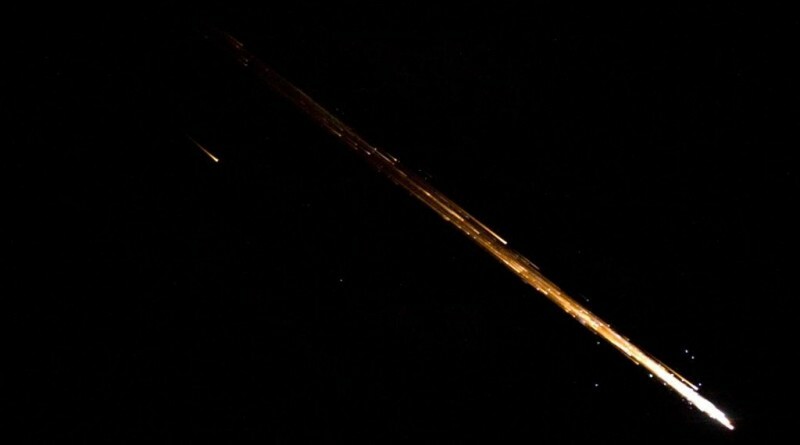 It was believed to have re-entered in July 2017, but no infrared signature associated with the re-entering object was observed. Object 26870 was only re-discovered in March 2018 in an orbit of 125 by 1,930 Kilometers, indicating it had bounced off the atmosphere in 2017 – trading in some of its kinetic energy for a reduction of eccentricity – which caused the perigee to move up and give the object several additional months of life. Re-Entry Prediction: March 17, 2018 – 22:36 UTC +/-17 Min.